Another horror show from Leyton Orient saw them killed off just after the half hour mark and condemn them to their 4th large defeat on the trot after losing 3-0 to Crawley Town down in Sussex. Crawley themselves were on an abysmal run having not won for six games but they played with a tight line at the back and held onto the ball something that Orient found extremely difficult to do. The home team could have racked up even more had they not taken the foot off the gas in the second half. This was a crucial win for the Sussex team who have been on a dreadful slide down the table of late. In the end it was just easy, too easy against a lethargic Orient who had a complete lack of ambition and were devoid of any ideas. In fact so poor were the O’s that they didn’t even have a single shot on target and Crawley bossed the dominance in both goals and possession with almost 70% of the play and Leyton Orient’s fading hopes of avoiding relegation from League Two took another smack in the mouth with this convincing defeat at Crawley. 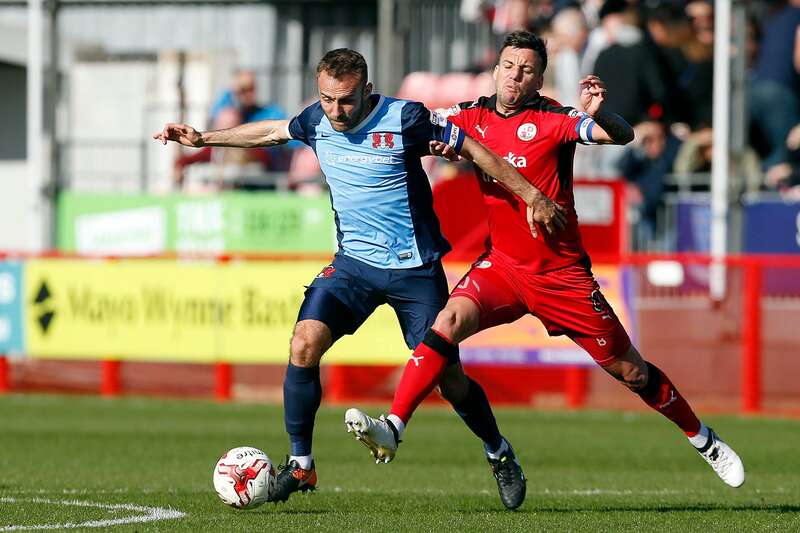 Three first-half goals in the space of 9 minutes sentenced the O’s to a fourth successive defeat, as Crawley tasted victory for the first time in two months. 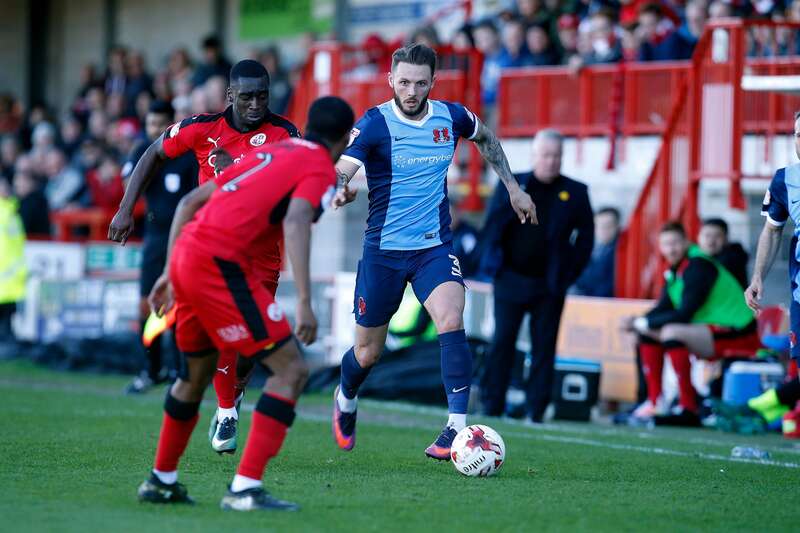 Orient were better for the opening exchanges but lady luck was not on their side as they lost defender Tom Parkes through injury before Steven Alzate was denied on the edge of the area by keeper Glenn Morris. The former Shrewsbury striker struck by heading in a free kick from Josh Payne and, although keeper Sam Sargeant got a hand to the ball, it flew into the corner of the net. Crawley took a firm grip of the game by scoring two more goals in the 29th and 32nd minutes. After the match I interviewed a couple of fans and here was the reaction. Crawley fan Tim Sayers from Horsham just down the road from Crawley said ‘That win basically keeps us up, we’ve been horrible to watch lately and the alarm bells were there for us. This win will settle the boys (the players) and fans alike. I’d hate to be an Orient fan, they hadn’t got a clue where our goal was. Definitely the worst team we’ve played this year. They are going down, no doubt about it’. Steve Bose is an O’s fan and he came down from Dagenham to see this defeat. He said ‘We were tepid, there was no fight. After this week I guess we are lucky to still have a club although we don’t have a team, we don’t have much of a manager and we certainly don’t have a great Chairman’. With fantastic English resolve and dark humour he added ‘On the plus side there are loads of non league grounds I’ll be going to next season that I’ve never been to’. So it appears even the fans have given up on Orient. If it’s of any help and Orient need as much help as they can muster now, the three teams above them all lost as Newport, Cheltenham Town and Hartlepool also like Leyton Orient all played away and all lost. However relying on the teams above you to all lose when you lose yourself doesn’t help on the points front and games are running out now for the O’s. Just seven games to go and 7 points from safety. It’s a huge ask and on these dismal endeavours there is no way they can survive the drop.